York College has a £60 million building with first-class resources designed with post-16 students in mind. This, combined with the highest standards for individual student achievement, provides an outstanding environment for teaching and learning. 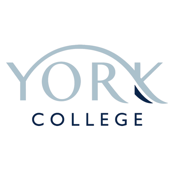 York College offers further and higher education courses:- A levels, vocational programmes, Diplomas, Apprenticeships, NVQs, HNDs, HNCs , foundation and undergraduate degrees, business and professional training. York College can now connect with its students with the touch of a button, with this stylish yet feature rich app that has been created by GSD.